Sonderbestellung USA. Lieferzeit ca. 4-5 Wochen. 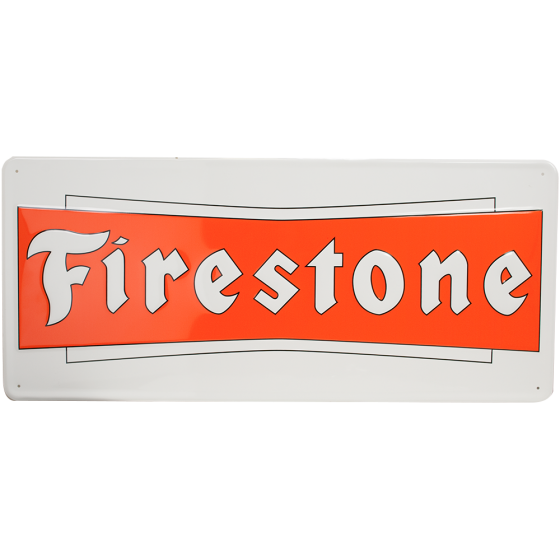 This metal sign features the classic Firestone Bowtie logo. Vintage Metal Signs make excellent gifts for collectors and enthusiasts. 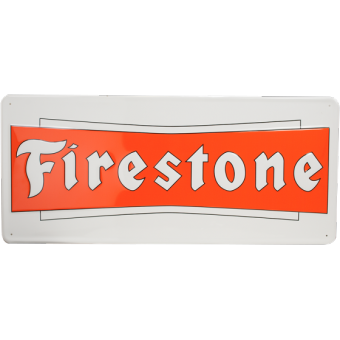 Even if you weren´t around in the 1930s and 1940s to see this Firestone sign when it was used at service centers across the country, you can certainly appreciate Firestone´s heritage. The metal sign is die cut and embossed on 26-gauge aluminum and features mounting holes for easy hanging. The screen print finish offers the authentic style and finish, and it´s durable enough for any shop. Sign measures 16 inches tall by 36 inches wide.